The debut album by Selector Dub Narcotic is an exercise in ecstatic genre-smashing, blending and up-ending. 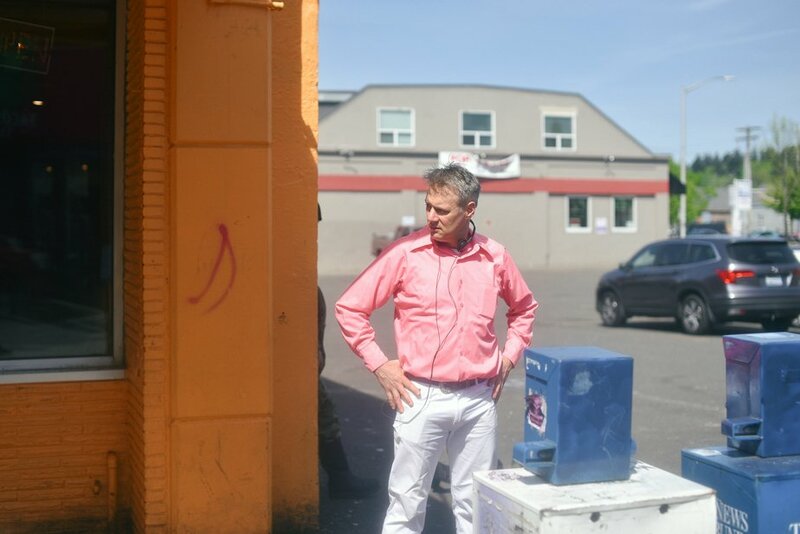 Calvin Johnson of the K label and such Olympia combos as Dub Narcotic Sound System, Beat Happening, Halo Benders and most recently The Hive Dwellers has been working under the nom de plume Selector Dub Narcotic since founding the Dub Narcotic Studio in 1993. This Party Is Just Getting Started is a collaboration with NW hip hop producer Smoke M2D6, who first began working with K producing the All Your Friend’s Friends [KLP255] compilation. As a member of the Oldominion crew Smoke M2D6 has produced almost every major hip hop artist in Washington and Oregon. This Party Is just Getting Started began with the song “All for the Sake of Rhymin’” (which samples K artist Mahjongg) and snowballed into an entire album of dance pop garage soul with Calvin’s trademark melodica wafting overall. Selector Dub Narcotic will come to the UK this October for a series of live dates, including Bethnal Green Working Men’s Club in London on 17th October.